The Unbinding of Fenrir (or…”He’s baaaack!”) | Marie Loughin's "I WANNA BE . . ."
In honor of Halloween and Coffin Hop 2012, I’ve decided to share an excerpt from my dark urban fantasy, Valknut: The Binding. Since the first chapter is available for free at Amazon, it makes sense to share something else. Something fitting for the season. First, a little background. Valknut: The Binding is set in current times, but several scenes flash back decades before protagonist Lennie Cook was born. I think I can share one of these flashback scenes with you without giving too much away. So, for your Halloween pleasure, I’ve selected an excerpt sliced from the middle of a scene set in 1893. It stars William “Red” Galloway and Angus Cook, two railroad employees laying track in the Big Horn Mountains. The two men have inadvertently caused a landslide. Their “Bossman” has given them the task of clearing the rubble. But Red and Angus find much more than rocks in the debris…. Red planted his shovel where he had found the bone and began to dig. Angus watched for a moment, then put the cigarette away and joined in with his hands. They found more bone fragments, but nothing conclusive until Red found part of a jaw. Looked human. He held it up to the light for a better look. Angus kept digging. It didn’t look like bone from where Red stood. Too big. He hunkered down next to Angus to help dig. After a few minutes’ work, they had uncovered something as large as a horse and wound in white string. Dirt-crusted tufts of dark fur poked through the bindings. He paused, eyes large in surprise. Red leaned forward to see what was wrong. The cut ends of the string hissed and crackled, shriveling away. The sight chilled him, though he couldn’t say why. He touched one end and jerked his hand back in pain. A blister formed instantly on his fingertip. Not shriveling—burning. Like a lit fuse. How could a steel blade do that? He staggered back, shouting a warning to Angus. The thing didn’t explode, but the ground shook and a roaring filled Red’s ears as the remaining string loosened and fell away. Before him, in a slaughterhouse reek, stood a gigantic wolf, its head on level with his own. Its jaws gaped wide, propped open by a black-handled knife with a long, bronze blade. Its eyes glowed yellow in the sun. Red cried out, backing away. He tripped and sprawled on the ground under its cancerous gaze. The wolf swung its head around and fixed Angus with its yellow eyes. Angus froze, bug-eyed and open mouthed. But Angus didn’t move. The wolf braced its paw against the bronze knife’s hilt and pushed downward. The blade came out with the sound of a shoe sucking free of mud and clattered on the rocky ground. The wolf uttered a growl so low Red couldn’t hear it. But he felt it through the rocks under his back. The Bossman felt it, too. He turned, his mouth still flapping, and his words became screams. The wolf leaped and buried its muzzle into the Bossman’s neck, ending his life as he lived it—mouth wide open and making noise. Red stared, unbelieving, as the Bossman’s twitching body hit the ground. He knew he should run, but didn’t want to leave Angus. Besides, he wasn’t sure he had enough strength to stand. The wolf turned back to Angus. Its mouth hung open in an obscene parody of a smile, tongue lolling out over its teeth. Angus still hadn’t moved or even changed his expression. The wolf licked the blood-soaked fur around its mouth and stepped closer. Red found he could stand after all. He picked up his shovel, uncertain whether to attack or run while the wolf’s attention was on Angus. Not liking either option, he screamed at the other workers for help. The wolf looked at him. They will not hear you. Red heard the words in his fear-crazed mind and screamed again, waving the shovel in the air, but the workers unloaded ties as though nothing were amiss. The wolf’s head swung back to Angus. You, I shall not kill. As though to make a lie of its words, the wolf’s mouth opened wide. To Red’s fear-crazed mind, it seemed as though its upper jaw touched the sky and its lower jaw scraped the ground. It engulfed Angus, swallowing him whole. This, thought Red, would be a good time to run. But before he could move, the wolf sat on its haunches and began to howl. The sound rose in the air so thick and full that Red could almost see it. And as it howled, the wolf began to shrink. Fur sloughed from it in great handfuls, disappearing before it hit the ground. Its muzzle shortened. Its ears turned inside out and flattened to its skull, the points becoming rounded, tufts of fur thinning to a few wiry strands. Its body thickened in some places, shrank in others, reshaping itself, until the wolf was gone. In its place crouched Angus, naked and feral. Exhausted by fear, unable to accept what he had just seen, Red wanted to believe the man before him was Angus, that it had all been a dream or a bad joke. But the lifeless body of the Bossman told him otherwise. And so did the rim of blood matting the beard around Angus’s mouth. The wolf who was now Angus examined its new body, flexing muscles, working the joints. Then it picked up the sledgehammer and turned on Red. Nothing of Angus remained in its eyes. 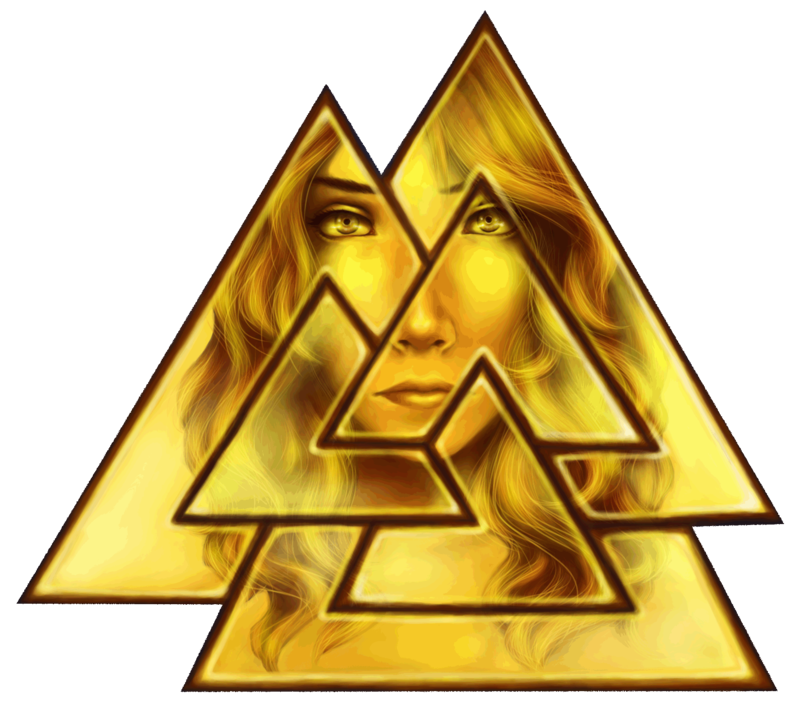 You can find the Valknut: The Binding e-book at Amazon, Smashwords, Barnes and Noble, and most other online outlets. Leave a comment any time this week and you’ll be entered in the weeks’s grand prize drawing for the TESSpecFic pack of five e-books, pictured here, plus e-books of my short stories Rose in Winter and Hell Hole (coming soon). If you want to know more about Coffin Hop, click here. This entry was posted in Blog Hops, Books, Coffin Hop 2012, Marie's Fiction, Myth in fiction, Urban Fantasy and tagged Fenrir, fiction, Marie Loughin, Norse mythology, Valknut: The Binding. Bookmark the permalink. I love a good ‘wolf tale! Terrific excerpt! Coffin’ hopping through to wish you a happy Halloween weekend!